First of all, I must point out that anyone who says "I am a computer user" must have a Google Account. The most preferred way to get a Google account is to get a Gmail account. First of all, it does not really matter if you have opened a Gmail account. The important thing is that you are always using it. Unfortunately in our country, hotmail is still being used due to "habits" intensely. However, a few of Gmail's best features are unaware. As you open your account, the first section you need to hear is the "Settings" section. Once you have set up basic features such as signature, default body text, profile picture, you should visit the "Themes" section. Every time you enter you will find a theme that will make you happy and refresh you. Then we suggest reviewing keyboard shortcuts that exist in Gmail as well as any other Google service. Do not miss the "Labs" section. You can activate more than 40 features in this section. I will not tell you individually because Gmail has already spoken in Turkish. There are a lot of features from previewed mail box to sending SMS. But Gmaili is the most important thing (no quota past 10 GB) labels and filtering feature. First of all, you should add your e-mail addresses that you want to write in the "sender" section when sending mail from Accounts and Loan Transfer Section. This may be your corporate account such as yours@company.com or your hotmail extension email address. You should then set up transferring your emails from your other accounts to your Gmail account. There are a few different ways to do this. With POP3 or postal import (mostly for Yahoo accounts) you can collect all your mail in one place. Especially for those who have more than 200 mail accounts like me, it's a blessing. All your mails are coming from your Gmail account, but if you say which mail is coming from and I want to sort them separately and see if you want to sort them separately Filters are growing. Adding a filter from a Google group to a filter, a filter from your Hotmail, or a filter from Yahoo will make your mailbox look very comfortable. You can also make your mails to your addresses from which you receive your junk mail only accessible from the left menu with the option "Skip Inbox". After you put a separate label on each filter, your mail box will become quite regular. Especially after creating too many labels, the labeling feature was activated in the month that we passed the label to prevent the mess. In addition to being able to use Gtalk and Tasks sections via Gmail. You also do not have to use your Gtalk via Gmail. Gtalk also has a desktop program for PCs. But you can not do video chatting from the desktop program. 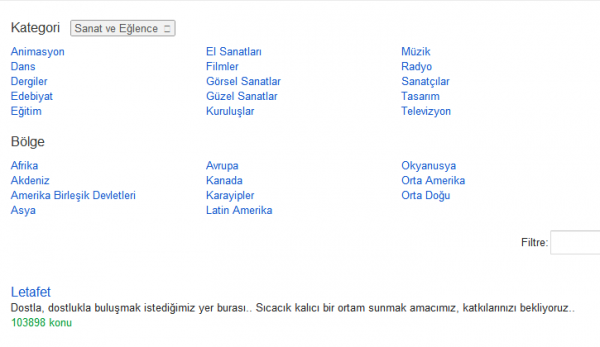 There are tens of thousands of Turkish Google Groups and hundreds of thousands of Google Groups users. Depending on your interests, you can have as many groups as you like and you will be able to exchange mail with these groups. You can also specify the number of e-mails you will receive daily from your groups in the Settings section. Dropbox and Box.netentered Google in this area after it began to be used around the world. Actually, one of the first ones to open this area was a car. You could upload a 2GB file at the first sign-out of Gmail, but since the capacities were not enough at that time, they brought a 25MB limit for a single file and people went to alternatives. 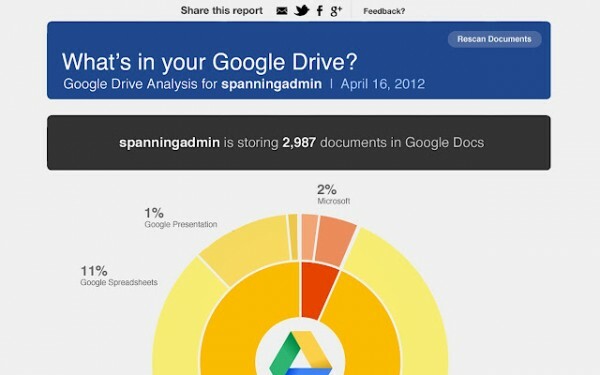 Google has noticed that it has been damaging the Google Drive service. We can think of Google Drive as the 2nd version of Google Drive. While Docs can use simple text tools like Excel and Word, Drive offers us a much wider perspective. It is a great feature to support all of the above extensions in one drive while you need to archive the file before using other services. With this plugin, you can edit your videos on Drive online with WeVideo, a Windows Movie Maker-like tool, and download or share from Google Drive whenever you like. Thanks to the Aviary plug-in you can edit your photos in Drive and play them on them. Aviary has dozens of effects that you can apply to your photos. 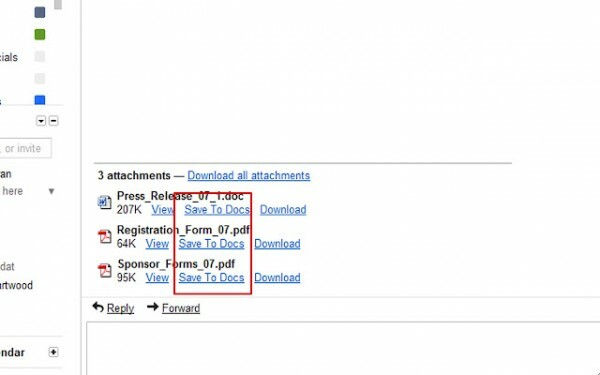 With this add-on, you can transfer attachments to your Google Drive, which you can view or download at any time. If you have too many Google Drive titles, you might be interested in their statistical information. With this plugin you can see how many files you have from which type of file and which files are shared with you through who you are. 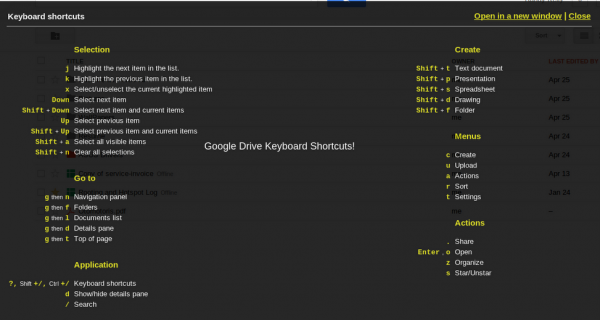 Keyboard shortcuts are available in Drive as well as all of Google's other services. Google Baraza is a question-and-answer site with Africans targeted. Baraza, a French and English language supporter, has been introduced to Africa in order to advance in the information sector and to share information with each other. Baraza means "task force" and "council" in the word meaning Shavian language (Central African common language - Tanzania, Somalia, Kenya, Uganda, Rwanda, Congo etc.). Baraza can ask awarded questions as well as questions and answers via sms. Google has more than a hundred services. Tracking the latest developments in these services is essential for many people in the IT sector. 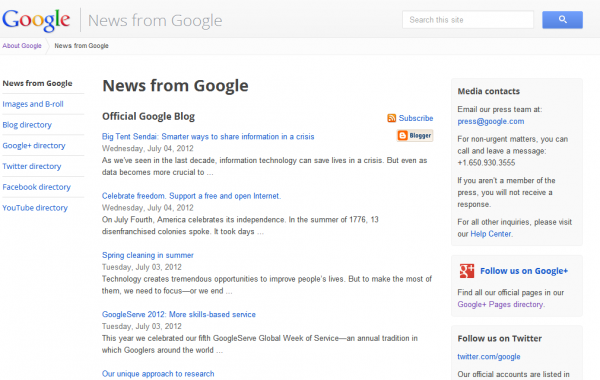 With Google, Press collect all social media accounts of all services in one place. There are options like Youtube, Facebook, Twitter, Blogger accounts, Google logos and Google's squares. Google's archives are also available here. Even the oldest file in the archive, the video of May 19, 2005 from here You can access. Google Labs' latest product, Google Browser Size (Will soon be integrated into Google Analytics) is a service commonly used by designers. It shows proportionally what sites your webpages can see, without using the first and the scroll bars that visitors come to your web site. This tool; helping you to highlight the designs you want your web pages to feature and various buttons (download, help collection, membership forms, etc.). Online shopping is an integral part of our lives. Are not you tired of entering your individual information each and every time you shop online? Google Wallet opens up a shopping account for you and lets you shop at one of the online stores that are supported. You can shop easily and safely from the points you see on the button. 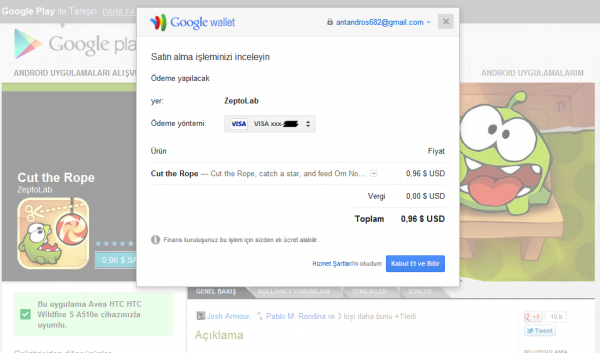 Google Wallet is not yet supported by online shopping sites in Turkey. You can only use it for Google Play, Youtube, Chrome Web Store, and Google+. Google Demo Slam is impressing with the interface itself. The graphics used on the site are great. Demo Slam is actually a project that we intended to do. Promote Google services. However, it is not boring course tastes but it is told with very entertaining and interesting videos. They even made this work a competition to bring more fun to the people. After you select the video you like more, the video is high and the video is a bit hurtful. If you are wondering how you can push the boundaries with Google services, you should take a look. Mail secures your e-mails without reaching your server. Prevents spam mails, backs up your mails with Cloud service and protects against malware such as malware. But Postini is a paid service. Prices range from $ 12 to $ 45 annually. You can also use Postini with your Google Groups. Especially a service that is very necessary for businesses. Abbreviated URLs have become especially important along with Twitter's entry into the world. Short URL service on Google. With Goo.gl you can shorten your URLs and review the details of the URLs you have shortened in the past. On May 22, 2010, Google Doodle's Google Pacman game for Pacman's 30th anniversary was very popular. Google did not close the game because it was so popular and still played. If you want to play Pacman you can still access Google Pacman. A service opened to follow election results everywhere in the world. for example from here You can obtain detailed information about the 2011 general election results in Turkey. At the same time, the system can show you that you will vote. You can easily get information about the campaigns that are actively entering the election period. You can access the language of the selected country and articles in English. Instead of Google Answers Google Knol Google has shut down that service in May. Free Yahoo! Answers Seems to have overtaken Google. In Turkey, much used and developed by Google Labs SMS Channels in Turkey's many operators make the news in his job with sending SMS. It's free. Moreover, you can choose the RSS feeds that you want to be notified of by yourself. 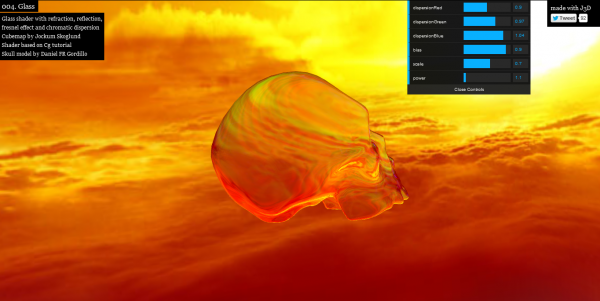 If you want to test Google Chrome's speed and quality of Render, you should come by. According to years, the world's population in line graphs on the world in an application that shows in 3D. Languages ​​spoken in the world with the same appearance, income distribution in the world, and so on. There are dozens of applications available. You're playing a ball in the pool-like the truth. But the graphics are amazing. 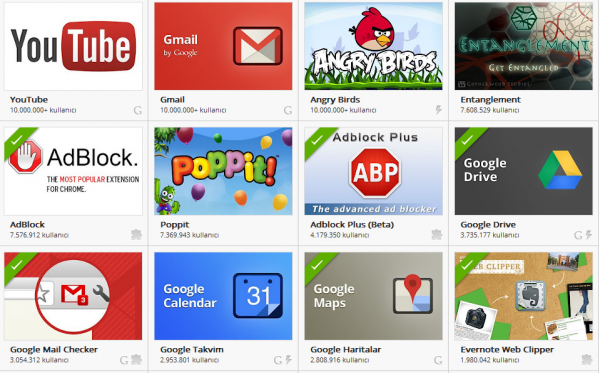 A huge Chrome WebStore with thousands of apps and extensions for Google Chrome. We even have a Chrome application. From here You can learn. We'll be talking about Chrome extensions and the cool parts of creating Chrome apps. Think again, "The Internet is not used to research." Think With Google is a platform with thousands of presentations, videos and infographics. 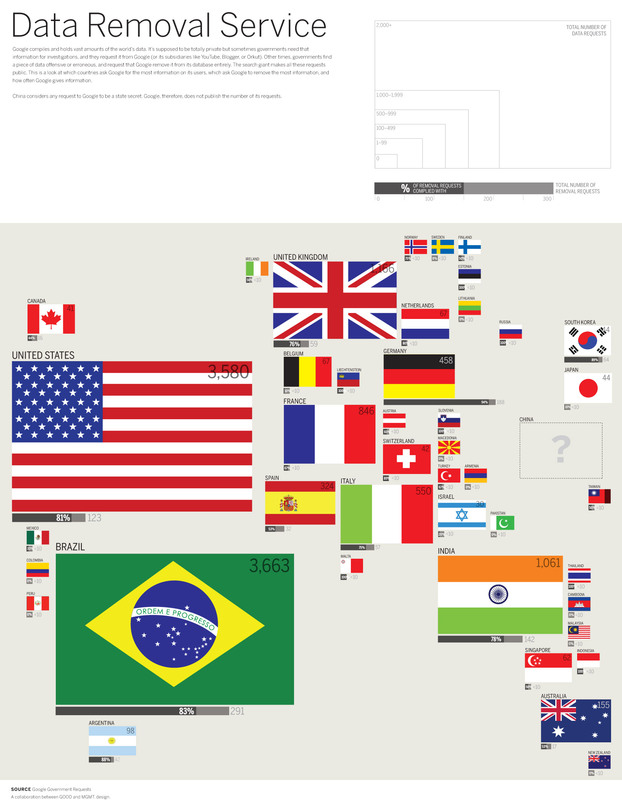 You do not just have to examine the data, you can create infographics. With Mobile Planet Tool, you can get data about cell phone usage habits of any country you select in the world. There are quite detailed charts in the system. It's a Google service where you can get instant data like how many new videos are watched and how many blogs are published in the world or in your country today. For example, you want to investigate "social media". In Google, you can find which countries have "social media" words searched, which phrases are searched, and which videos about "social media" have been watched with countless graphs like when they were watched. How much is your brand's visibility on the internet? What do people see and think about your brand? The thoughts of people from all over the world about your brand, your impressions of your brand are gathered for you in one panel. It's a great tool to analyze your brand. Service that Google opens for mobilden internete access. With the Gomometer, you can test your website for mobile compatibility and take advantage of customized reports to tailor mobile to your needs. And they also offer mobile support for free for one year. 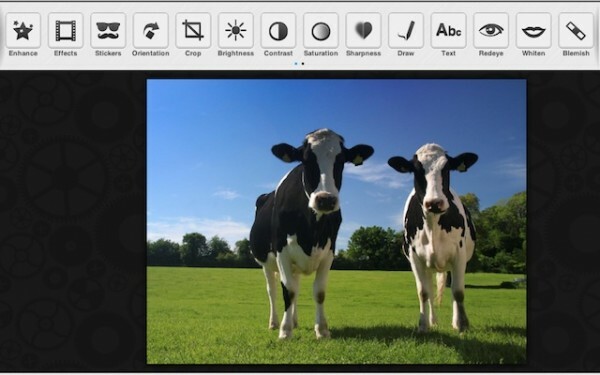 You can create a mobile website with the GoMometer, which has a very easy-to-use interface. After the first year, $ 108. Moreover, Turkish language support is available. The Olympic Games are the world's largest sports organization, held every four years since 1896. With Google at the beginning of these games, the Olympic special service has opened. We can access all kinds of information about the Olympics from a single page. On the teams page there is a section showing the number of medals, athletes, and so on that are specific to each country. The service is also integrated with Google+. After you select the team you support, you can change your cover photo in your Google+ profile. At the same time, you can also see what people are looking for in the Olympics on Google. For example, at the opening of the Olympic Games, there was a flag crisis between North and South Korea. The Google Hangout also added Olympic Games. When you hang out with your friends, your team and your favorite sports are supported. From the Events section, you can access the calendar of events that will take place that day. We will also talk to Doodles in these Olympics. You can keep track of Google's Doodles for 17 days, preparing 17 different Doodles for the 17-day Olympic Games. To watch the Olympic Games live, you just need to write "Olympic" to Google. 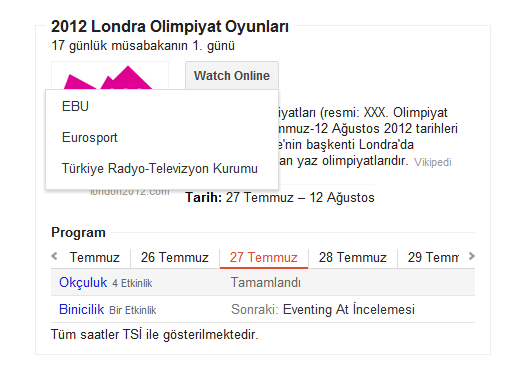 You can connect to the live broadcast of the channel you selected and watch the Olympic Games live. At first, Google Maps did not realize that it was a new era on the internet. We thought of it as a detailed map that could only be found under everyone's hands. However, Google has developed this feature so that even municipalities are now using the Google Maps infrastructure to tell us the arrival times of buses. We will not even be able to travel in our home for a while, even for the Google house, which publishes our photographs revealing our military secrets in the back of the deer Google Maps last time we even saw banned flag countries. By adding Google's 3D feature, the map has gained viewership in a separate dimension. Google tools are photographed in large areas around the world and integrate 3D views of buildings into Google Maps. Google Maps, showing photos on the map, Wikimedia articles, Web Cameras, Videos, traffic conditions and more. Map Maker is a service that is frequently used by those who are doing career in cartography. One way to think about this service we serve Google is to consider it as a marketing element. To make your workplace look better or easier to find on Google Maps, Map Maker needs to be a bit tricky. In addition, this feature is widely used especially in Pakistan to attract tourists. Time is increasingly appreciated every day in the logistics and service sector. Using time efficiently became the most important value of every company. Google Coordinate is helping you coordinate your employees. Thanks to the Android application, you can see the location of your employee through Google Maps and you can still work on Google Maps. This system can be used even for taxis or police agencies. If you have hundreds of people working at your place, you will need to be there with Google maps only, instead of making countless phone calls. The monthly fee for this unique Google service is $ 15. A great service that shows you the flights you want, from one point to another, with direct / nonstop flights. You can choose tickets without having to deal with different airline sites. There is only one shortcoming and you can not buy the ticket here. Google took us on a plane we went to vacation, but which hotel will we stay in? Google thought about that too. It's enough to write the area you want to stay in. Google even lists all the hotels in that area, whether or not there is room in those days, even the prices. Panoramio, which has been working with Google since 2007, is a service that loads photos that appear on Google Maps. You upload photos you take into Panoramio, other users check and publish the suitability of your photos. Then it's open to all Google Maps users. We found our house with Google, we had a restaurant tomorrow evening, and we found a restaurant that we could not find the stars. Google Sky. Stars, planets, etc. we can now view. The space that has become more interesting with infrared, history and microwave options is for us. You can find all the details NASA has published about Mars on Google Mars, which is a more detailed view of Google Moon. Google Earth's Desktop application also has a 3D view. As the name implies, this is Google's bear imaging service. It also has the Google Moon 3D feature, which shows the points raised by people who come out to the moon (In the desktop app only). A genius application that will affect all of Google's worldwide transportation systems. Google Transit has three options that show the closest distance and route between the two points you select. Public transport, by car and by foot. Transit feature is not yet active in Turkey. There are various faults in the option of walking. Not in beta yet. But the option to drive is almost perfect. Turkey never forgetting the available options on the bike, I thought I'd see in a. Not exactly a mobile service Foursquare can call rozetsiz working in Turkey. It's a fact that Google is having trouble with almost all governments and big corporations around the world. To reduce this, Google offers us a real-time transparency report. In what countries, which Google services were turned off, when they were turned on, and the access rates to Google products in those countries, questions were answered with custom graphics. In the Removal Request section, the demands and results of copyrighted companies are included. For example, the most frequently complained sites are torrent providers. The music industry is the most popular. Google services delete, close, etc. As most requests came from Brazil, Turkey 5.sıra. Turkey has realized 64% of the 104 requests to Google. In the request fulfillment ratios, Israel, Australia and the United States come last. The American government has been fully entitled to the 3851. (July-December 2011 results) 2012 results have not been announced yet. The same tabloda governments also include user information requested by Google. None of Turkey's 88 requests unfulfilled. 93% of the 6321 different user data information requested by the US government is given. In fact, there is no wonder statistics that Google will be able to add that the US Government has developed special applications. Forty of the 50 states in the US are using Google's special apps for management. It also raises the question of how ethically Google can use Google Elections and Government-specific services for Google. In Zeitgeist German it means "the general intellectual, moral, cultural environment and spirit of a period". It is possible to reach the most sought after from 2001 to 2011. Of course some results are censored. Rebecca Black has been the most searched for 2011. The Zeitgeist presents us with detailed, animated graphs of what period he was called. With these graphs, we can say that Google Chrome has made it available in HTML5. Second place is Google Plus. Google's specific search statistics are shared through Google Trends. here what we told you in our words Google Insigths for Search has been combined with Google Trends services to make it even more powerful. Below the "social media" is located in Turkey searched the statistics. 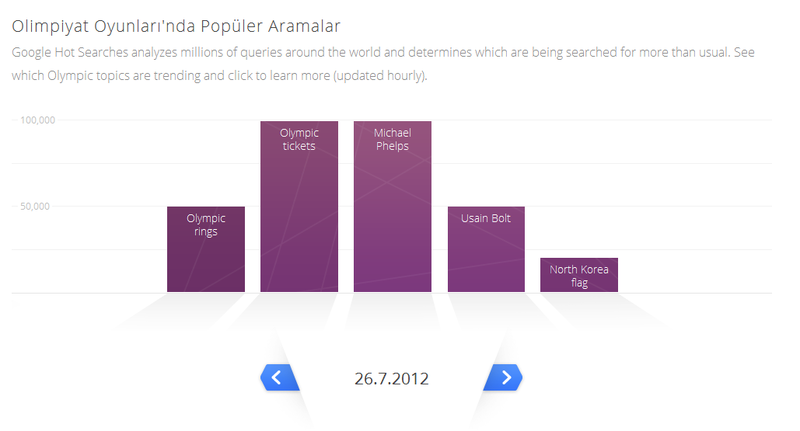 Popular Searches feature is not yet active in Turkey. In the meantime, the most popular image search word in the world "wallpaper" is the most rising search is Justin Bieber. You can also check out Flu Trends around the world with Google Trends. To get this data, Google only uses search terms. How Olympic images are so important! This is a much nicer series for twitter than it is missing. 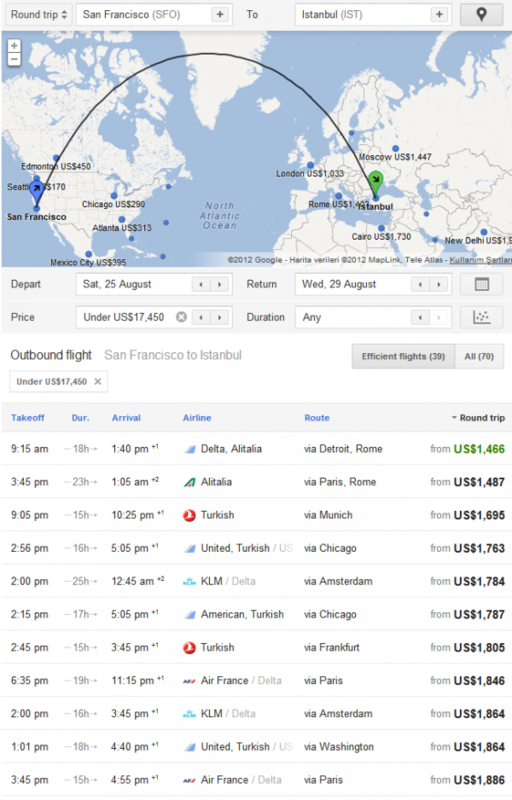 Discounted ticket prices on Google flights are not available! There are also only Turkish air routes. Ok you've added a lot of service, but where is Adwords Adsense ?! I think he should have been in a guide like that. 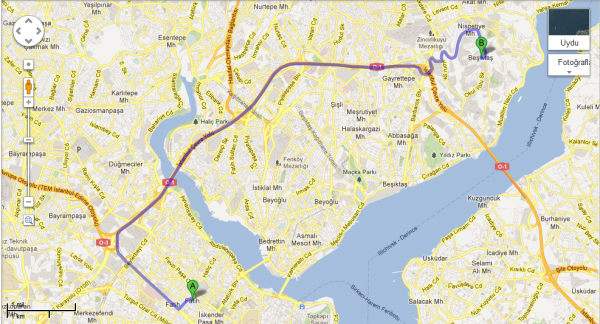 Google Hotel Finder does not work very well in Turkey. Hehe google uncle grip oldummu care? The Zeitgeist is actually a common time spirit. Our government must not be able to receive data from only one goog. Facebook twitter every thing is giving instant! Haydar bey How do I remove content that I do not want in Googled? Think with Google videosu has been very cool! I think Google Drive is redundant when Yandex.Disk is there. What do you think? A detailed document about Google, where can we get the book? As far as I know, the book has been removed from the broadcast. We will be satisfied with the document. Google is growing bigger. I wish that Yahoo and Yandexten would take such steps. Pakistan's use of google street to attract tourists .. Incredible! Travel with Google, shop, find, get ads, advertise. All life is google. You should also include the Google stock ticker app. It's really, really, really good.